Vivo recently launched the Vivo V15 Pro and Vivo V15 smartphones in the Indian market. Both the smartphones come with a triple camera setup on the rear and a pop-up selfie camera. Unlike the Vivo V15 Pro, the Vivo V15 lacks the 48MP rear camera and in-display fingerprint sensor. Today, the company has officially confirmed to launch a similar looking phone called Vivo V27 in China. Vivo launching this new high-end smartphone for the Chinese market on March 19th in Sanya. While the company hasn’t officially confirmed the specifications or the design of the device, the leaked promotional images give us a glimpse of the Vivo X27. In terms of design, the Vivo X27 looks exactly similar to Vivo V15 Pro launched in India. 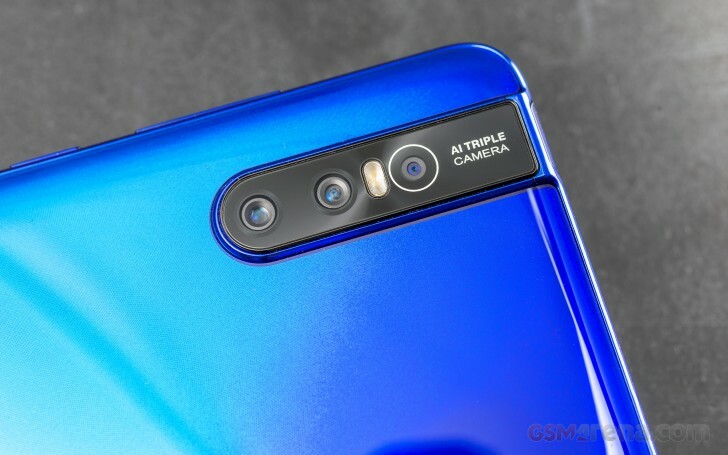 It might even offer the same 32MP pop-up selfie camera and 48MP triple camera setup on the rear. While the Vivo V15 Pro came with Qualcomm Snapdragon 675 Mobile Platform, the Vivo X27 might come with Snapdragon 700-series processor. However, it should be running on the latest Android 9.0 Pie based FunTouch OS 9 out of the box. Talking about the display, the company will be opting for the AMOLED panel along with an in-display fingerprint scanner. We will be knowing more details about the Vivo X27 smartphone in the coming days. ← The Huawei P30 and P30 Pro will stand up!